The beloved Patois will rise anew in SoHo. 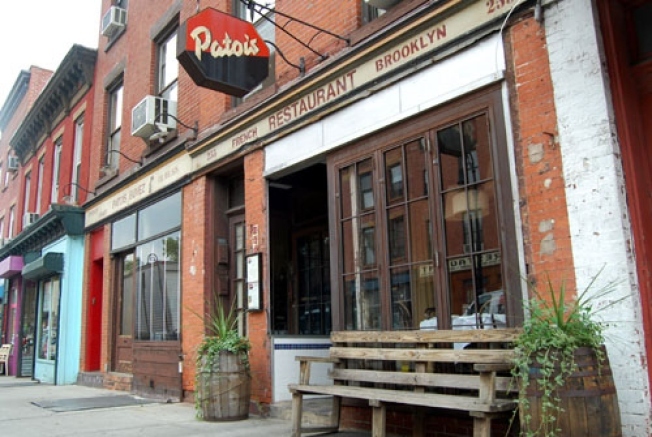 Carroll Gardens: Some vital news for the lovers of the recently shuttered Carroll Gardens staple Patois: According to a posting on a French Culinary Institute's job board, Alan Harding and Jim Mamary are planning a new Patois in Soho and a charcuterie shop in Brooklyn. It had been reported after the shutter that Patois would be moving across the street to 254 Smith St., so chances are that is the future home to the meat shop. The bigger deal here is the unidentified Soho space. It is always notable when a Brooklyn restaurant expands or moves over to Manhattan (see yesterday's Lunetta news), but we're talking about the Brooklyn "empire builders" Jim Mamary and Alan Harding here. It is an unexpected departure for the pair. Any guesses as to where Patois Soho will be, let us know.